Therapeutic changes occur in many places, and among animals as well as humans. A theory that attempts to explain therapeutic changes should be based on principles that apply not only to those changes occurring during the hour, but also to those observed in the educational process, in interpersonal relations, and in the social milieu, as well as with animals. It would be desirable to discover principles broad enough to provide a deeper understanding of therapeutic change in this wide variety of situations. Experienced therapists appear to be similar in what they are doing, although they may disagree as to why they do it. In spite of the arguments about theoretical formulations, it can be observed that during an hour with a patient many psychotherapists may not follow their own theories too well. There probably is some relevance in a comparison of psychotherapy with a concept formation test: the subject gives the correct answers but is unable to state why he did so or what principles he followed in making his choices. The therapist, too, may help a patient but he is often uncertain as to "why" and "how." It is very likely that the effective principles in therapeutic work rest on processes that are more general than the specific principles advanced by different schools. 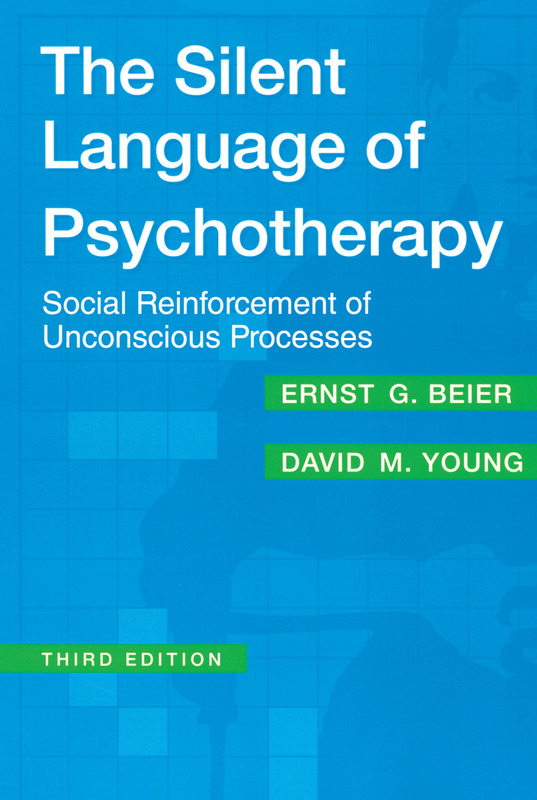 This volume combines the elements of psychodynamic and cognitive behavioral therapy in a theoretical system that focuses on the importance of patient-therapist interaction, especially in terms of the exchange of subtle or covert communication cues. In this significantly updated and expanded edition of their classic text, Beier and Young analyze recent developments in new areas of practice facing today's therapist: managed care and the clinical impact of the control of healthcare delivery; and biological intervention and other issues related to psychotropic medication.